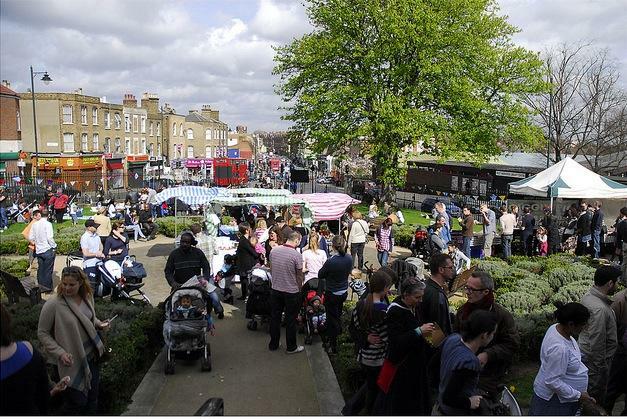 New Sunday markets in West Norwood . Congratulations to all who made the first Norwood “Feast” on Sunday 3rd April a fantastic success, bringing more than 2,000 people pouring into 4 markets in the centre of West Norwood . Brilliant planning & marketing by local residents working with Space Makers and support from Big Yellow Storage & the council combined with good weather resulted in a great market day. There is a second-hand goods/retro clothing market outside Rosebery’s auctioneers on Knight’s Hill, food stalls and children’s entertainment in St Luke’s Church garden, an arts and crafts fair at the end of Chatsworth Way and plants, fruit and vegetables on the corner of York Hill and Norwood Road. Local shops joined in: Beamish and McGlue served hog roast outside their shop on the corner of Lancaster Avenue and Kahvah welcomed a record number of customers in its Norwood Road café. O Girasol was also doing a roaring trade and B&Q staff reported a large increase in business. Fringe events included guerrilla gardeners who planted around trees in Norwood Road , trampolining for children and cemetery tours for adults.. 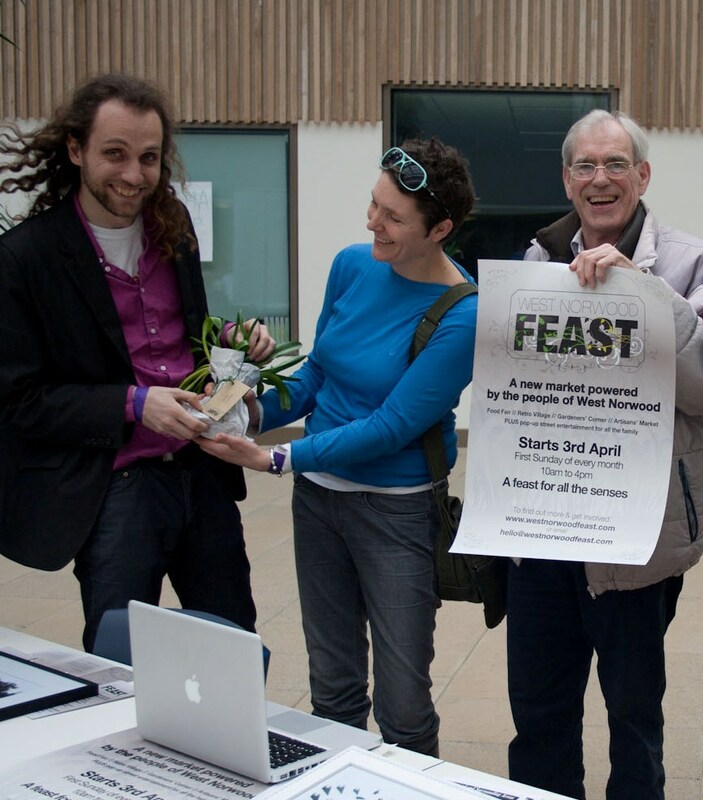 The next feast event will be Sunday 1st May 10-4pm. Get there early as some stalls sold out by lunchtime! Four market areas are planned: Artisans market at Chatsworth Way, Garden Corner by York Hill, Food Fair at St Lukes church & Retro Village outside Rosebery’s the auctioneers on Knights Hill. 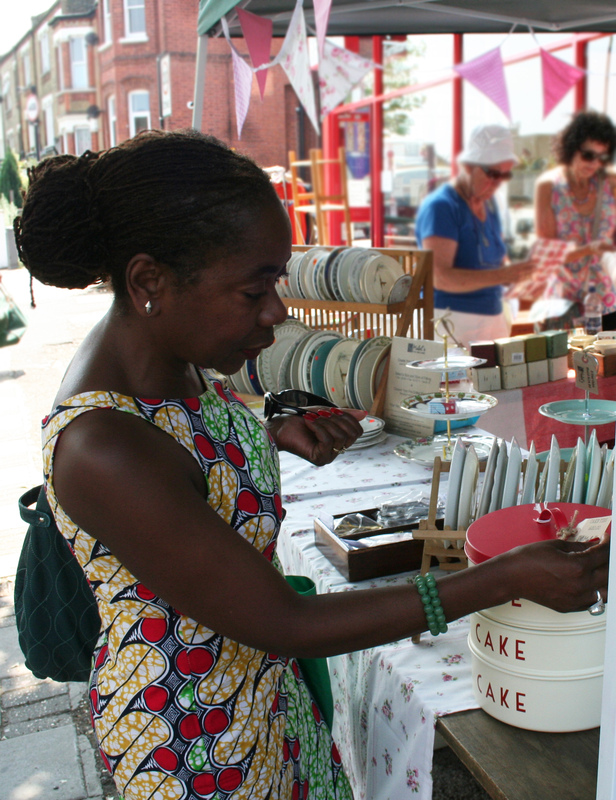 Come along and see West Norwood’s entrepreneurs in action! And street entertainers for all! Local residents have said they want a better shopping experience in West Norwood and Lambeth council has commissioned Space Makers to get things moving.